In the 1820s the owner of the site where the Hungária Spa later stood, the silk trader, András Gamperl, discovered cold water rich in mineral salts while digging a well, and on May 23, 1827, he opened the Gamperl Iron Spa. However, the 1838 Pest flood, washed away that first building, and the Pest residents began to refer to the rebuilt spa by the name of Hungária from the 1840s. At that time and up until the 1920s, the spa consisted of a huge block bordered by Wesselényi utca, Nyár utca and Klauzál utca (on the plots at Dohány utca 42 and 46 today). Around 1890, the Nyár utca wing was reconstructed significantly based on the plans of Imre Novák, and the bathhouse operating earlier with just 15 tubs was expanded. In 1897, the Ringer family acquired the Hungária Spa, which had several bathrooms, four guestrooms and a relaxation garden and turned it into a bathing complex, meeting the modern requirements of that time. The stone bath, 60 tubs and four steam baths were accessible via Nyár utca, while the entrance to the medicinal public spa with 1,500 cubicles, a buffet and a separate so-called fashion section was from Klauzál utca. In 1907, Emil Ágoston, drew up the plans for the impressive, modern bathhouse to be built at Dohány utca 44. In 1910, the several-storey building in the style of the Viennese secession was handed over, and in addition to the accustomed bathing facilities also housed a columned swimming hall where swimming competitions were held. The swimming pool’s glass dome was mechanically adjustable, and in fine weather, it was drawn back so that guests could bathe in the open air. In the 1920s the Hungária Spa entered the ownership of Ingatlanbank. In the Nyár utca wing of the spa Continental Hotel was opened, the public spa on Klauzál utca was demolished, and in its place a six-story art deco block of flats was built in 1929 based on the plans of László Vágó (today Dohány utca 46.). In the remaining art nouveau-style part of the building, the Kamara Motion Picture Theatre opened, which from the 1950s made way for several theatres operating for relatively short periods of time. Performances were given there by the Bányász (later Honvéd) Theatre, the Fővárosi Nagy Varieté, and finally the Tarka Stage until 1963. From 1965 the neighbouring Continental Hotel used certain parts of the increasingly neglected former Hungária Spa, but when the hotel closed its gates in 1970, the spa building became more and more rundown. By the 1980s the building was in a perilous state, the tiles and majolica ceramics decorating the interior of the spa has been carried off, the glass dome had been destroyed and homeless people took up shelter in the building. 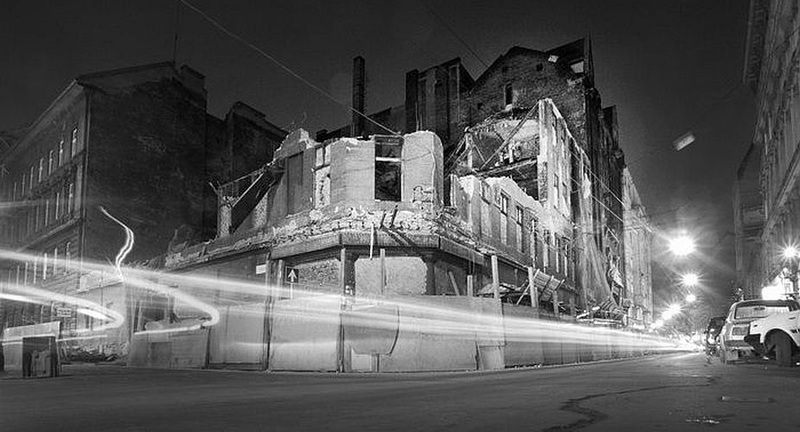 During that period, however, the dilapidated building once again enjoyed art historical significance when in 1989, with the help of the Studio of Young Artists, the group of artists later known as the Újlak Group performed there for the first time. In 1996 a foreign-owned company purchased the sites, and wished to build a 210-room thermal spa hotel in the place of the Hungária Spa and the former Continental Hotel, which by then had been razed to the ground, preserving the spa’s main façade and first staircase. In September 2001 the relevant authorities did not approve the demolition, and asked for guarantees regarding the protection of the building’s main facade and first staircase. The committee for the protection of the city image ordered the investor to carry out measures to protect the substance of the building within half a year. Those measures were not carried out and in fact the rear swimming pool area collapsed as a result of the owner’s earlier demolition work, so in summer 2002 the building was declared a safety risk and the owner was obliged to fully demolish the entire rear tract. 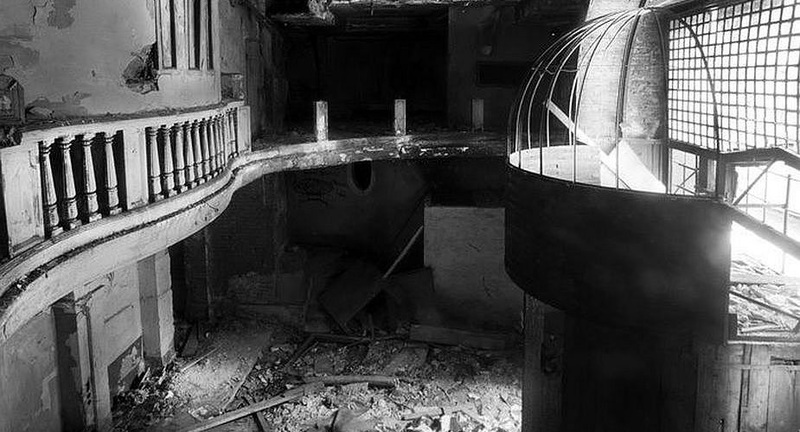 In summer 2004 the National Office of Cultural Heritage ordered the interim protection of buildings at risk in the area of the former Pest Jewish ghetto, including the Hungária Spa. On February 7, 2005 the remaining section of the spa was declared a listed building. Continental Hotel Budapest****Superior – built on the site of the former Hungaria Bath and Continental Hotel – awaits its guest since 15th June 2010. The official opening ceremony of the building complex – having an amazing 180 years history – was held on the 22nd September 2010. Our desing four star hotel 272-room features a diverse range of rooms. In addition to the standard rooms we offer deluxe and executive rooms and 13 suites, even some featured with balconies and complimentary wireless Internet access. To ensure maximum comfort, all of our rooms boast parquet flooring and twin, queen or king-sized beds. The hotel’s exceptional ARAZ Restaurant seats 120 people and offers a wide selection of dishes. The menu evokes meals served by the upper-middle class restaurants of the past century, while combining fashionable international delicacies. The Gallery Café with Corporate Lounge located above the faithfully restored main entrance are central areas for social life. The Spa of Continental Hotel Budapest****Superior has one of the largest and one of the most state-of-the-art wellness and fitness centres among Budapest hotels. We also cater to conference needs with our 5 conference rooms with a capacity exceeding 300 people and our underground parking garage.